Do you owe more on your home than it is likely to sell for? Are you having big trouble making your mortgage payments and in danger of being foreclosed on? Want to sell your home and just move on with your life? Do you want your real estate agent to do the negotiations with your mortgage company for you? This may or may not be possible depending you your mortgage company, but some will allow your REALTOR to negotiate with them on your behalf. Note this is not a comprehensive list as every mortgage company is different in what they will want to see, but this list should give you a very good idea of what is going to be needed in order to have any chance of having your short sale approved by your home mortgage company. A non comprehensive list of things you will need to provide to your REALTOR if he or she is to negotiate a short sale for you. 1. All your mortgage information, account #â€™s, balances, contact numbers2. 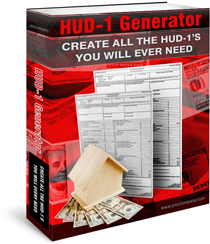 A copy of your Hud1 from the purchase of the home3. A copy of your dead for the home4. Your United States Social Security number, if you have one5. Your work visa information6. Copies of your green card information7. Copies of your past 5 years tax returns8. Copies of your past 5 years bank statements9. Copies of your past 6 months pay stubs10. Your past employer information for 3 years (addresses, job titles, compensation levels)11. Your current employer information (address, job title, compensation level)12. An authorization letter specifically authorizing me to negotiate with the mortgage company on your behalf.13. You will need to put together a hardship letter explaining to the bank why you cannot afford to continue to pay the mortgage on the home, and / or cannot afford sell your home and pay the difference between sale proceeds and the amount of money needed to satisfy all debts against the house. Note banks do not like short sales. If they believe that you have the capability of fulfilling the mortgage through payments or payoff, they will likely not accept a short sale unless you have showed that you do have the ability to make full mortgage payments and are willing to proceed to foreclosure and negatively impact your credit rating including the likely closure of all credit cards. In short, home mortgage companies don’t make it easy for you to lose money for them.